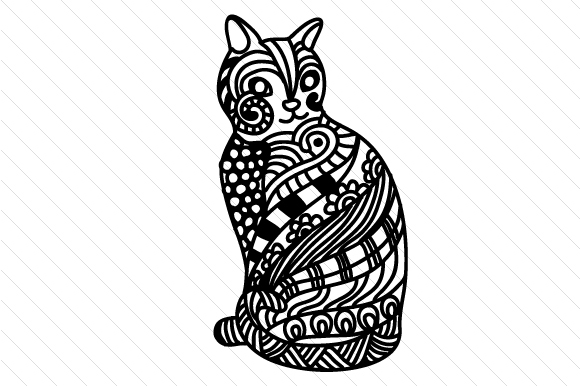 The purrrfect zentangle cat for all kinds of cat-themed crafts represented by a beautiful SVG design in black and white. Ready to use with printers and cutting machines, suitable for a wide range of zentangle art accessories. From wall art to custom tattoos, imprinted t-shirts and other crafts, this zentangle cat design is sure to wow any way you use it.